Valet located on 102nd Avenue NE. $5 flat rate at lunch. $10 flat rate at dinner. Please call the restaurant or visit our website for more information on the private dining room. From the owners of Il Terrazzo Carmine, one of Seattle"s most iconic and beloved establishments, comes Carmine's Bellevue. 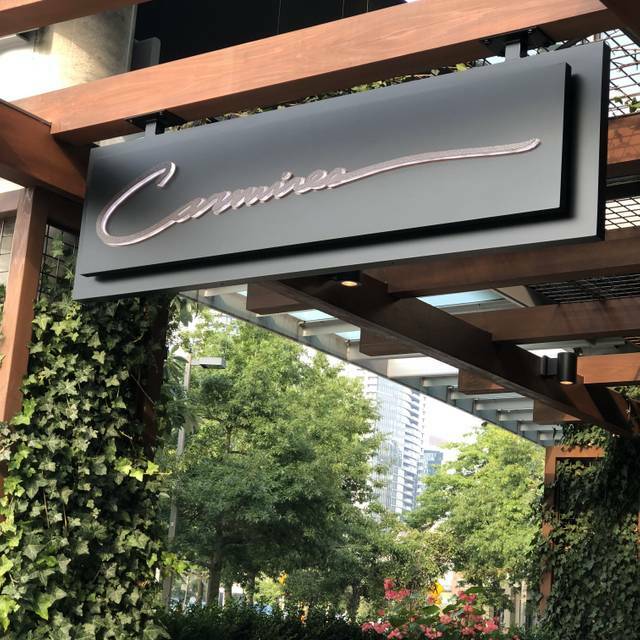 Carmine's Bellevue brings to the east side the same level of quality in service, food, and ambiance that has made its sister restaurant a true institution in Downtown Seattle. Located at 88 102nd Avenue in Bellevue's historic Old Bellevue neighborhood, Carmines is nestled against Bellevue Park. With a rustic, timeless interior, Carmine's provides patrons an escape from the increasingly urbanized way of life. 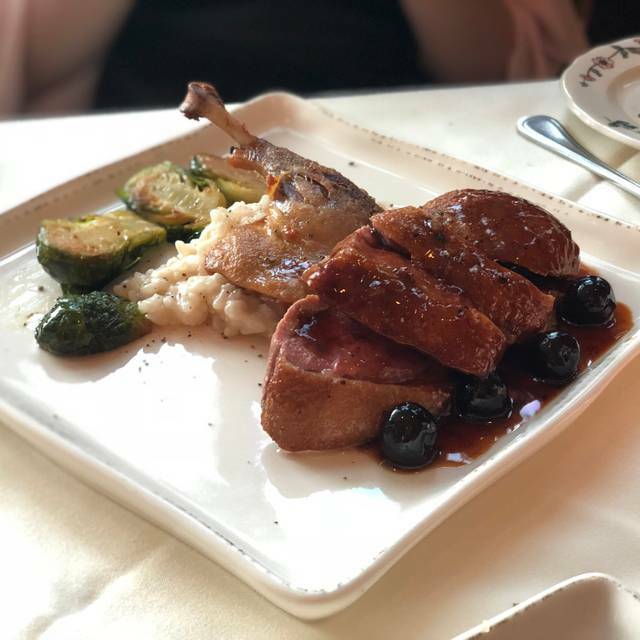 Upscale and elegant, Carmine's feels anything but stiff and pretentious. 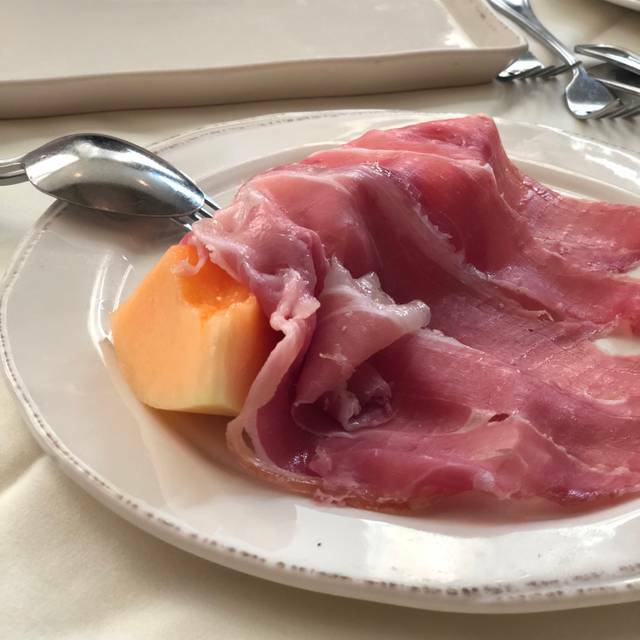 Good for business meetings, special occasions, or simply dining with loved ones, Carmine's Bellevue is a true destination on the east side. The tables along the perimeter of the main dining area are set too close together and doesn’t allow enough space between the parties. This makes it difficult to have an intimate conversation between two people with others sitting so close on either side. Went there to celebrate an anniversary. 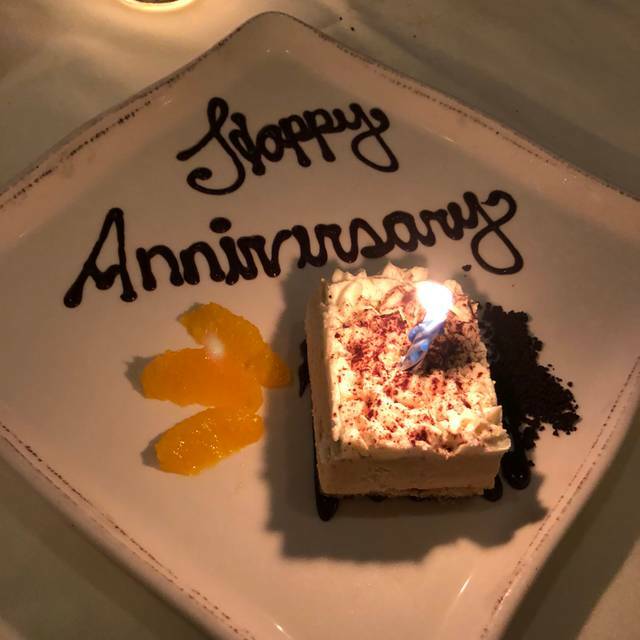 They did a great job with a special note and anniversary message during and literally part of the desert to end the evening. The service and food were fantastic. My favorite place for dinner! Food and service amazing as always! We were all (party of 7) very disappointed with: service, food, and noise level. We had to wait forever for the drinks to be served, and by the time the waiter asked if anyone would like a 2nd drink it was almost the end of the meal. Everyone ordered a starter and either their own entree or shared an entree. 50% of the food served was not tasty or prepared correctly, with components of a dish missing from the plate. My husband couldn’t even eat the mushroom soup and when the waiter noticed he said he would deduct it from the check, but didn’t. We had early dinner reservations but it was still so noisy we could barely carry on a conversation. The cost of the meal reflected an expensive restaurant, but our experience was far from that. None of us would return there or recommend it. Came on a friends recommendation and can see why this house is so busy.. Carmine’s is a well oiled machine, with beautiful food, drinks and staff. The restaurant itself is gorgeous with fresh flowers everywhere you turn. Everyone that serves is clearly happy and fully engaged from front desk on. What other places aspire to but rarely achieve..Carmine’s gets it. This Carmine location Is fantastic. Glad they kept the same menu as the downtown restaurant. Always enjoy my time here! Service is excellent. Food is mediocre. Decor is bland and sterile. I booked a table to celebrate my wife's birthday at Carmine's. Both of us are vegetarians and we were apprehensive about whether this place would have any options for us, but we were surprised with the food and wine options. The potato dumpling and the creme of Asparagus were amazing. Thanks for the birthday cake. Presentation is very good but food does not seem to be the same caliber as when they opened. Service was impeccable. We asked for the quietest table secondary to a hearing deficit and it was still too loud. 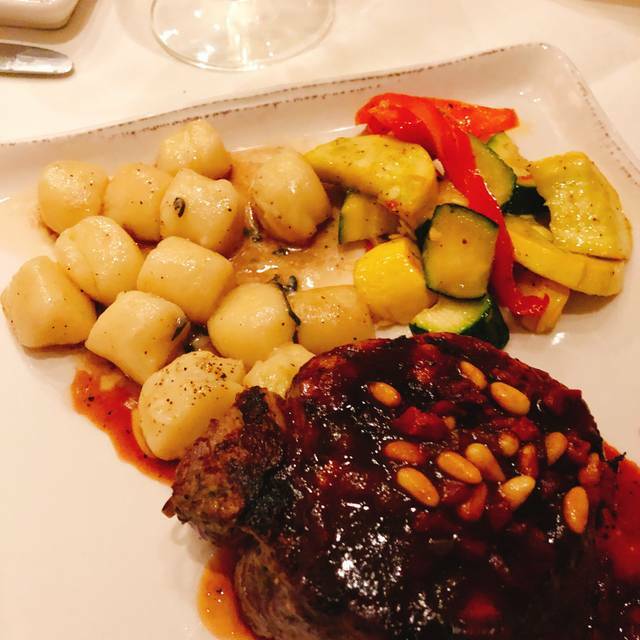 We've been to Carmine's a few times, and every time is outstanding! Our server Hayley(believe that was her name) was great. My girlfriend has a severe beef allergy, and they are always super helpful wish dishes. Great place to dine!! Beautiful restaurant with excellent service, but the food is not good at all. In our opinion, the Carmine’s in downtown Seattle is much better. My family & I are regulars at Carmine's in Bellevue. We love the atmosphere and the food is fantastic. 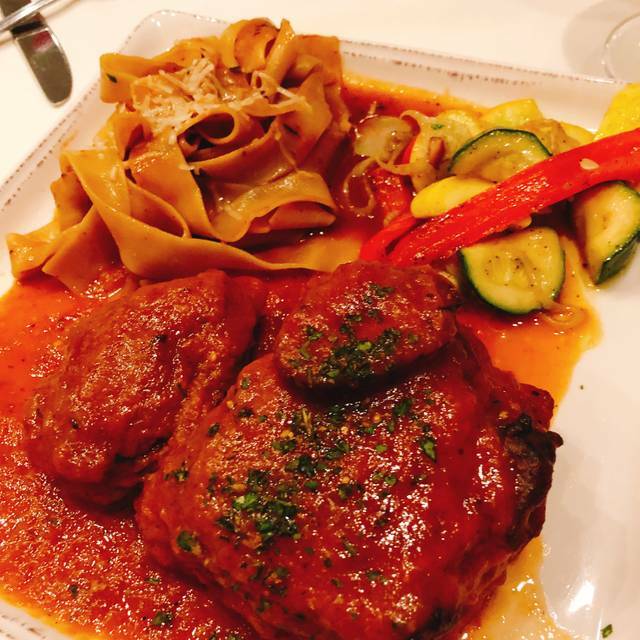 Favorites include Antipasti appetizer, Brown Butter Sage Gnocchi, Veal Scallopini, The Lamb Chops & Pork Chops. Would have been nice to know there was a garage with parking. Noise level is pretty loud- hard to hear our server. Outstanding panna cotta and double pork chop. Great service! Great food. Great place! 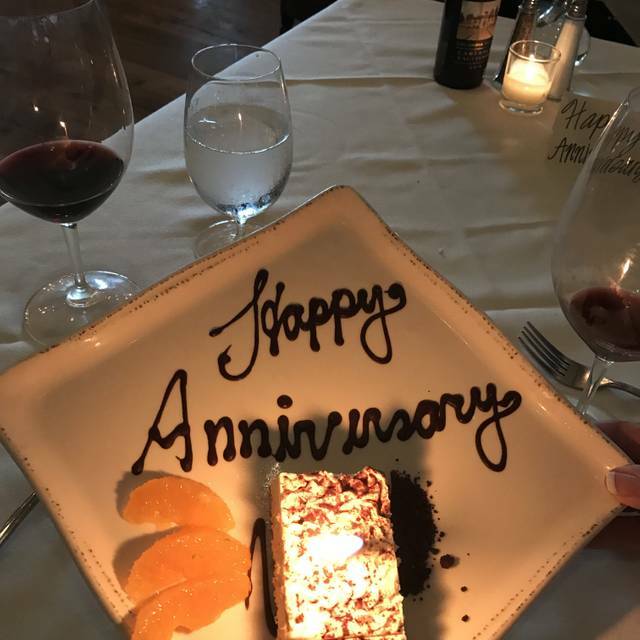 Carmine's is our favorite restaurant! We always take our friends and family here for special occasions because we know the service and meals will always be amazing. The service was lovely and the recommendations were perfect! This was our first time at Carmine’s we were celebrating our 27th wedding anniversary. Both my wife and I loved Carmine’s. We would recommend it highly. Phil and his team were outstanding. We will be back. Our dinner was on a Monday evening, celebrating a birthday, and there were two other parties doing the same, so it was not at all crowded, and clearly a place chosen for special occasions. The service was excellent. Food was great. We can recommend the Caesar salad, and the King Salmon dish with risotto. Great meal! Excellent service. We have been here twice and it's been great both times. Although service was excellent food was horrible. Neither we will go back there nor recommend this restaurant to others. Our server and the front greeting staff were both A+. Attentive and professional. My wife ordered the seafood linguini and I ordered the bone in pork chop. My wife loved the seafood linguini. Me? Well the pork chop was not great. I ate two bites. The servers noticed that I was not eating, and came back to thaw the pork chop away. They apologized and immediately brought me a feee desert and took the pork chop off my bill. We were very impressed of this level of friendly service. We will be back to eat there again. 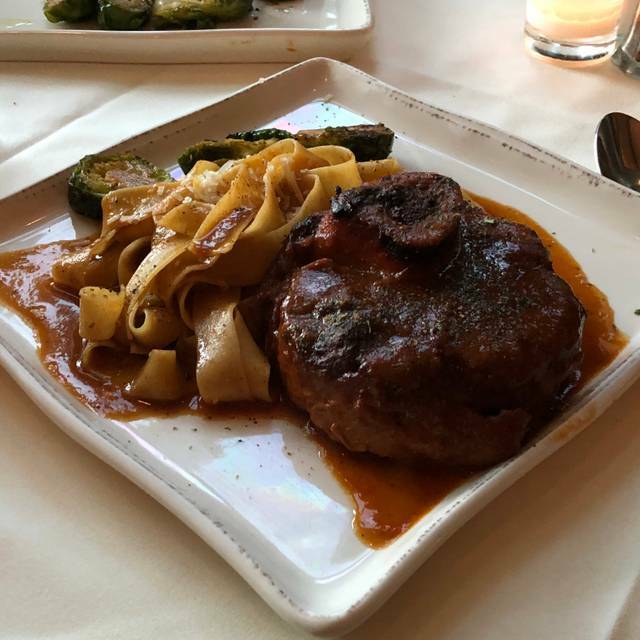 I have been to Carmine's five times for business and pleasure with family. All I can say is amazing. Each time I am surprised, in a good way, by something. This time was a business lunch with an old colleague, we needed a catch-up and to establish a way forward. We agreed it was wonderful, lasted just long enough, and the food - well off the charts. Best Salad Niciose I’ve ever had! Everyone loved their meal. We had dinner with friends at Carmine's and had a wonderful time. 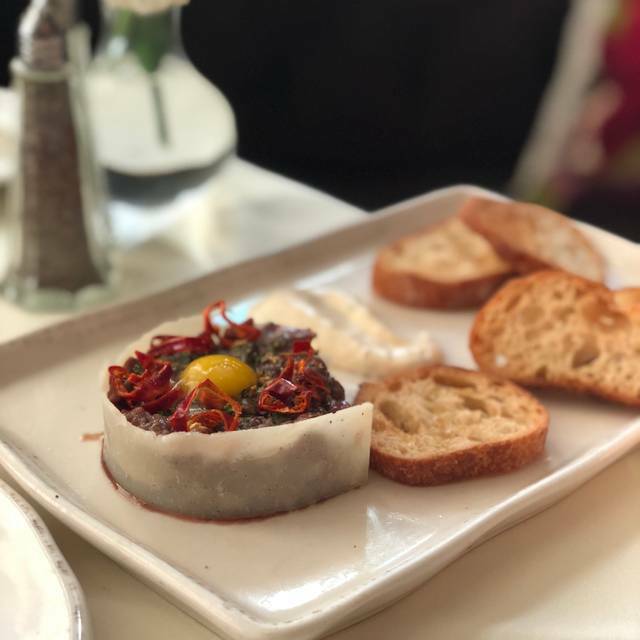 The food was wonderful, the service was impeccable, and we will definitely return. Can't wait. Roberto and Brett were incredible! The atmosphere was amazing!! We will definitely be back! Delicious pasta, seamless service, and lots of smiles. Love Carmine's. Just love everything about Carmines. The food, service, and ambiance can’t be beat! I could go there every night of the week! If you are sitting in the wrong part of the restaurant the noise is unbearable! We could not have a decent conversation and our ears were ringing by the end of the evening. Make sure you ask for a quiet table otherwise your money will be wasted! Great food and service though! Great place for classic Italian dinner, just be ready to pay. If you are looking for a place where you can talk over the dinner- this place is not for you. Perfect spot to bring grandparents. Fun location and great good! as usual great service and wonderful food. ENjoyed the entire experience. We come every year for my husband's birthday, he counts the days until he has his sweet bread. This year pancetta was added and he felt it was a bit overpowering. No worries he will just adjust his sweet bread order. I had the specific Rib Eye it was huge but somehow when my plate was cleared it was empty. We will see you again. Like Carmine's quite a bit. Hosted a private dinner for 14 in January and it was great. Dinner the other evening was not up to par. Food was just mediocre and we shared our views with the staff. They attempted to make it right but comping the pasta and bringing a desert does not make up for the loss of the total experience. My partner has Parkinson's and not sure how many more dining "experiences" we will have together. So when one goes bad we notice it.